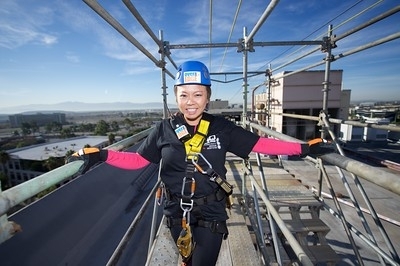 Shirlee’s members helped push gym owner Konnie Vong over the edge of a 10-story building . . . but don’t worry, it was all in the name of a good cause! 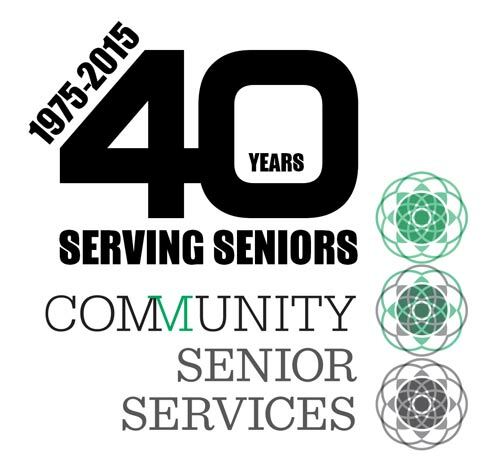 Community Senior Services (CSS), a local nonprofit, celebrated 40 years of helping local seniors with a fundraising challenge. 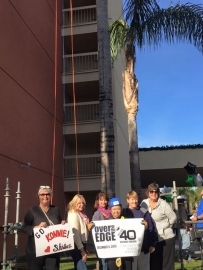 Donors who contributed $1,000 got the chance to rappel down the 10-story Ontario Airport Hotel. Shirlee’s members helped Konnie reach her goal, and she was one of the first of 75 people to rappel the building on Saturday, December 5, 2015. CSS helps seniors by providing volunteers, information, resources and communities. “I am proud of the members who supported me by donating to Community Senior Services so that I could rappel,” said Vong. “We were happy to support such a worthy nonprofit that serves local seniors.” Shirlee’s supports a number of causes throughout the year as part of the gym’s ShirleeStrong outreach to the community. See the slide show of the rappel below. CSS is planning to hold another Over the Edge event next year. If you are interested in rappelling or becoming a volunteer through CSS, please contact them through the information below. CSS can match your time and talents with local ­seniors in need. This entry was posted in News, ShirleeStrong. Bookmark the permalink.